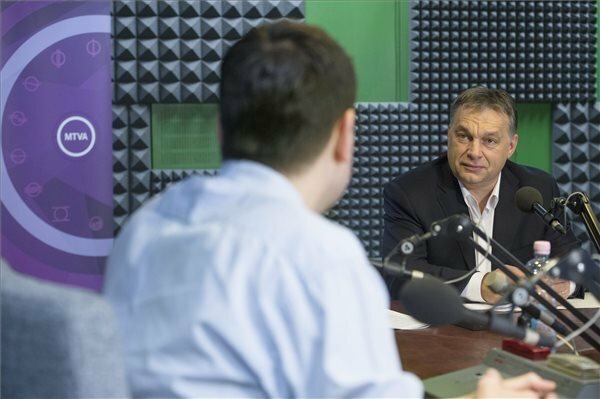 Budapest, February 21 (MTI) – Positive economic trends will continue on the back of higher growth, cuts to household bills and expanding employment, Prime Minister Viktor Orban told public radio today. 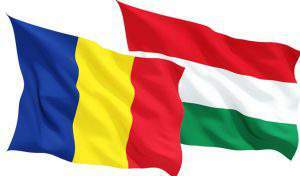 The economy is expected to grow by 4 percent in 2016, Orban said in his regular interview to Kossuth Radio. Orban said the foreign trade balance hit a record high in Hungary’s favour last year and, in spite of current forint weakness, there was “no problem”, since the country was producing more goods for the foreign market that it was importing. 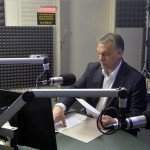 “Hungary is not in need of external financing; the only task is to finance the renewal of our expiring debt,” he said. Household bills will be even lower and every Hungarian will be able get hold of a secure job, he said. These, he said, were the two goals which could be realistically set. Orban said he had expected the opposition to back the government’s household bill-reduction plan, too. “How can someone oppose lower bills, when this benefits 10 million Hungarians?” he said. He said employment had returned to its 1991-1992 levels and there were more people employed in the business sector and in public works schemes. “We are past 4 million, but in the Czech Republic, which has a similar population, this number is 5 million,” he said, adding there was a lot more to be done to ensure everyone has a job. 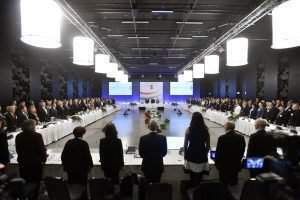 The prime minister also said that Hungary would be able to service its debt more easily in the future as the state of affairs in some European countries improves. He noted that his government had planned to reduce public debt from 85 percent to 72-73 percent, but this would have required a better external economic environment. With a bit of “back wind” even 70 percent would have been possible, he said. 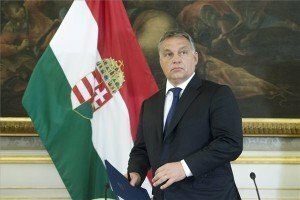 Orban reiterated his belief that it would be possible to introduce a single-digit income tax. “I hate taxes, too,” he said, adding that if Fidesz is re-elected, reducing income tax would continue to be an aim. 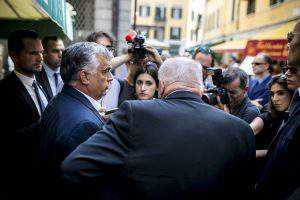 Orban also urged the better coordination of a demographic plan, although he said the extra child-care benefit and benefits for parents with degrees were “a glimpse of the future”.